Never pretty enough to please her gorgeous mother, Allie will do anything to gain her approval—even marry a man she doesn’t love. Lt. Walter Novak—fearless in the cockpit but hopeless with women—takes his last furlough at home in California before being shipped overseas. Walt and Allie meet at a wedding and their love of music draws them together, prompting them to begin a correspondence that will change their lives. As letters fly between Walt’s muddy bomber base in England and Allie’s mansion in an orange grove, their friendship binds them together. But can they untangle the secrets, commitments, and expectations that keep them apart? *Note: Walt’s plane in A Distant Melody, and Jack’s plane, Sunrise Serenade, in A Memory Between Us, are both B-17Fs, which lack the chin turret designated by #2 in the diagram. 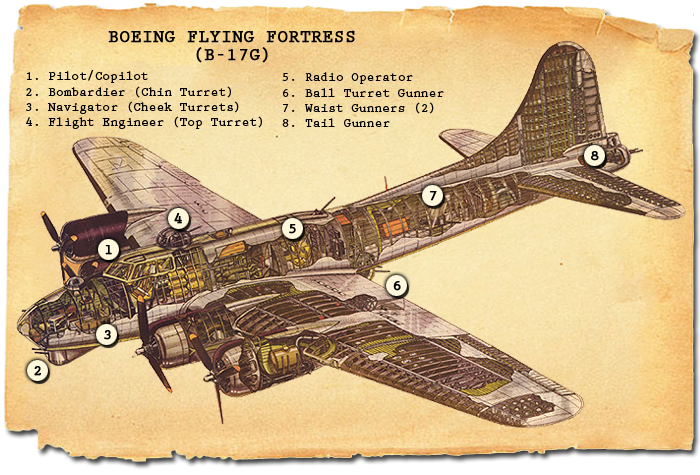 Jack’s other planes, and all Ray’s planes in Blue Skies Tomorrow, are B-17G models as shown in the diagram. Q: Did you really take a ride in a B-17? A: I sure did! In May 2011, the Experimental Aircraft Association visited Buchanan Field in Concord, California, and I had the privilege of flying in their beautifully restored B-17G, Aluminum Overcast. I’ve enjoyed walking through this plane every year, and then one of my readers, who volunteers with EAA, arranged for me to participate in the media flight. I took a YouTube video of the flight and wrote a blog post describing my experience. It was a rollicking fun ride! Q: Why did you decide to make your heroes B-17 pilots? A: Walt and Allie’s story was brewing for a while, and I knew he was a pilot. Then I saw a special on the History Channel about the Eighth Air Force, and I was moved by the stories of what those men endured. In addition, my great-uncle, Roderick Stewart (yes, the original Rod Stewart), had been a B-17 pilot. Uncle Rod flew a B-17 under the Golden Gate Bridge (obviously against regulations) and flew into Pearl Harbor during the Japanese attack in a squadron of twelve B-17s. 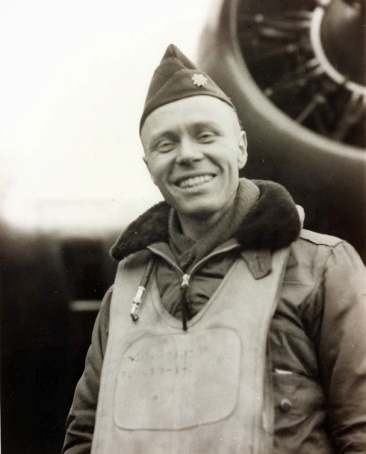 He went on to fly missions from Australia with the 7th and the 19th Bomb Groups, and then served as a squadron commander with the 94th Bomb Group in England. I based the career of Walt’s brother, Jack, loosely on my great-uncle’s career. A ten-page memoir of Lt. Col. Roderick Stewart is on the Witness to War website. 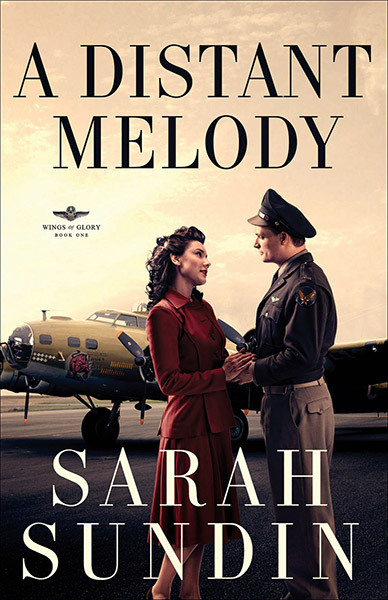 Q: In your novels you refer to the “Army Air Forces.” Wasn’t it called the “Army Air Corps” at this time? A: Yes and no. In 1907, the US Army formed the Aeronautical Division, which became the Aviation Section in 1914, and the Air Corps in 1926. Q. In A Distant Melody, which places and people are real and which are fictional? 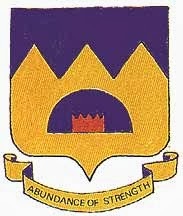 Emblem of the US 306th Bombardment Group. A: All towns mentioned are real as was the 306th Bombardment Group, and I’ve tried to incorporate as many true details as possible. However, because the towns are populated by fictional people, I created fictional businesses for them to own or work at. Likewise, all the churches are fictional except St. Paul’s in Bedford, England. The only real-life person who appears in A Distant Melody is Col. Frank Armstrong, commanding officer of the 306th. Other real-life people mentioned include Generals Spaatz, Eaker, and Longfellow, Colonel Overacker, Lt. John McKee, and Sgt. “Snuffy” Smith. 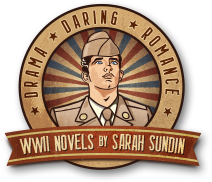 My only regret is the necessity of “bumping” real-life heroes to make room for my fictional bomber crewmen.